WELLINGTON — For the second straight week, the 3 p.m. Sunday match at the International Polo Club was decided in overtime as brothers Carlos and Memo Gracida led La Herradura to a 12-11 win over the defending Joe Barry Memorial Cup champion, Coca-Cola. La Herradura took control of the game early, scoring the first four goals and leading 4-1 after the opening chukker. The team continued to dominate throughout the first half, leaving the field after the third chukker with a 7-3 advantage. But Coco-Cola continued to chip away. It staged a rally in the last chukker of regulation play, tying it at 11 and forcing the overtime. Other top games this weekend included Goose Creek registering a 12-11 overtime win over Lechuza Caracas — after trailing the entire game — and Villa Del Lago sneaking past Crab Orchard, 12-11. Also, ERG outlasted Faraway 8-7 in a defensive battle. Saturday’s only contest had Valiente defeating Lucchese 11-9, while Sunday’s early games saw Orchard Hill pick up its first win of the season with a 12-7 romp over Audi. Zacara, behind seven goals from 10-goaler Facundo Pieres, dispatched Piaget, 14-10. There are 14 teams competing in the Joe Barry Memorial Cup, with Bracket I consisting of Villa Del Lago (1-0), Goose Creek (1-0) and Faraway (0-1); Bracket II is ERG (1-0), Crab Orchard (0-1) and Lechuza (0-1); Bracket III contains Zacara (1-0), Valiente (1-0), Piaget (0-1) and Lucchese (0-1); and Bracket IV consists of La Herradura (2-0), Orchard Hill (1-1), Coca-Cola (0-1) and Audi (0-1). A full schedule of games will fill out the week with three games slated for today with Audi facing Coca-Cola at 11 a.m., Goose Creek squaring off with ERG at 1 p.m. and Faraway meeting Crab Orchard at 3. Bob Jornayvaz’s Valiente will take the field Thursday against Piaget with 10-goaler facing 10-goaler. Valiente will have Adolfo Cambiaso directing from the field while Piaget will rely on the skills of Miguel Astrada. A busy weekend will see nine games from Friday through Sunday. Highlights include Villa Del Lago taking on Lechuza Caracas at 1 p.m. and Zacara and Lucchese doing battle at 3 p.m., both on Friday; and a 3 p.m. Sunday contest between ERG and Villa Del Lago. The tournament semifinals will be played at 1 and 3 p.m. Jan. 23. The semifinals of the Bobby Barry Cup (the consolation tournament) will take place at 1 and 3 p.m. Jan. 24. Current standings have La Herradura with a 2-0 record with La Herradura’s Carlos Gracida leading the field with 15 goals in two games. Villa Del Lago’s Polito Pieres has tallied nine goals in his only match so far. The finals of the tournament are set for 3 p.m. Jan. 27. The finals of the Bobby Barry Cup will take place at 1 p.m. that day. The next tournament in the 20-goal competition will get under way next week in the Ylvisaker Cup with most of the same teams competing. 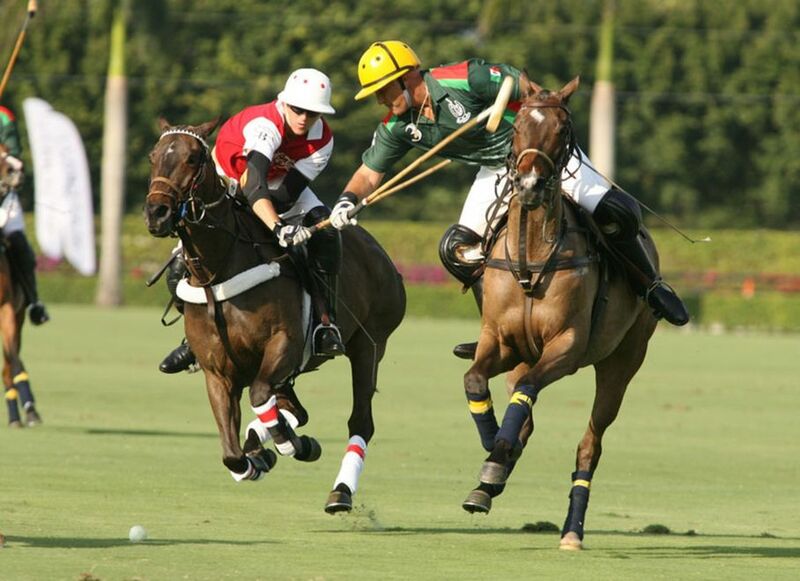 – Read more about this Polo Match at International Polo Club. Filed under News Articles. Tagged Joe Barry Memorial Cup.